Trademarks and domain names: it's hard to be an acronym trademark! At the conclusion of the WIPO D2019-0263 case, the panelist rejected the request from Groupement des cartes bancaires to obtain the transfer of the domain name cb.markets (WIPO, D2019-0263, Grouping Bank Cards v. Domain Administrator, Coinbase, Inc., April 2, 2019, denied). 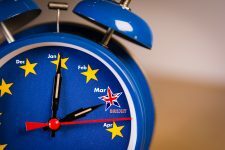 It is essentially on the ground of the criterion relating to the right or the legitimate interest of the defendant that the case was played out. The panelist stated that “[c]ontrary to the Complainant’s assertions, however, CB is not necessarily distinctive solely of the Complainant’s services as it can be an acronym for many different names and activities“. He also observed that the defendant’s company, namely Coinbase, was also using the acronym “CB”, with supporting evidence. “The Respondent denies authorising DomainTools to include such a notice. Indeed, (…) some service providers, including DomainTools, routinely include such notices in their WhoIs reports without any authority from the domain name holder at all. In the present case, the Respondent uses a different registrar and service provider to DomainTools. As there is no relationship between the Respondent and DomainTools, therefore, the Respondent is not in a position to control DomainTools’ conduct and so should not have DomainTools conduct attributed to it“. The panelist concluded that the evidence of cybersquatting was not made and, as a result, the request for transfer was rejected. The defendant, who was represented, raised the bad faith of the claimant. The goal is to get the panelist to recognize that the procedure was initiated in an abusive manner. In the jargon of extrajudicial procedures relating to domain names, this practice is referred to as “reverse domain name hijacking” or “RDNH”. This is not as useless as it is sometimes suggested. Indeed, the recognition of the abusive nature of the procedure could allow the defendant to obtain, before a state judge, the reimbursement of the fees paid to his lawyer, or even damages. “Further, the disputed domain name consists of three letters. Those letters can be an acronym of many different entities and things. Wikipedia for example lists Seoul Semiconductor Company, Shanghai Supercomputer Center, Shard Services Center, SSC North America (an automobile manufacturer rather than the Complainant), Specialized Systems Consultants, Swedish Space Corporation, Southern Star Central Gas Pipeline, numerous educational institutions and many other terms in the fields of technology, life sciences, physical sciences, computing and sports, amongst many others” (WIPO D2018-2422, Service Spring Corp. v. hao wang, December 17, 2018, denied). Extrajudicial case law on acronyms is abundant. 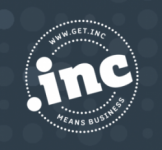 It is now enriched by cases relating to new gTLDs. 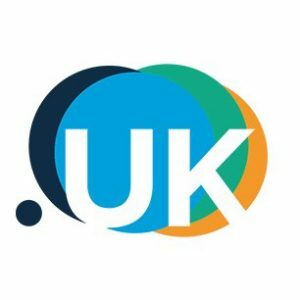 For owners of acronym-based brands, one of the golden rules of the domain name portfolio management strategy is to register as much as domain names as the budget allows according to a pre-defined list of priorities and taking into account of all new gTLDs. This strategy must be followed as scrupulously as the acronym is short because it is intrinsically a weak trademark. In fact, the shorter the acronym, the less distinctive it is, which gives third parties the opportunity to defend themselves more easily in the context of adjudicatory proceedings. Consequently, the owner of a trademark based on a short acronym often has no choice but to propose a transaction consisting of the purchase of the domain name(s). From a strictly financial point of view, the operation is never beneficial, in that the cost is necessarily higher than the registration/maintenance costs of the domain name(s). The operation is even less beneficial in the case where it intervenes after an adjudicatory procedure. In fact, the holder of the domain name (who is not necessarily a cybersquatter), on the one hand, has nothing left to lose (his position is even reinforced by the adjudicatory decision) and, on the other hand, he is well aware of the importance that the domain name has for the trademark owner. As a result, the cost of the transaction may rise.